I live on the isle of wight and have just got out of the army after 22 years. I have ridden lots of bikes but i have reached the time in life where a more comfy ride is needed. Hence me buying my Suzuki vz 800 2005 intruder. I am currently working for the ministry of justice here on the IOW. I am currently in the process of stripping cleaning and re-building my bike so will need lots of help and advice on a few things. Also happy to pass on any help i can to the masses. 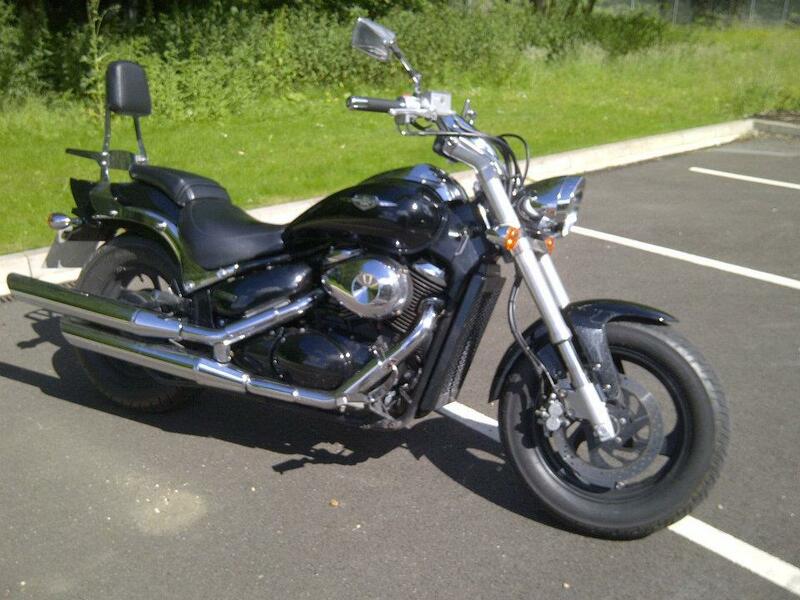 oh and can anyone confirm exactly what model my bike is from this picture. My sevice manual says its a Vz 800 intruder. (2005). But im really confused when it comes to ordering parts, and dont want to order the wrong ones. Essentially i probably need a new frame....so really dont wanna get that wrong. Cheers. Chris. It's a VZ800. frame as far as I know is the same as the other same year bikes.